Wholesale orders will be big discounted, welcome to email us for a pricing list ! 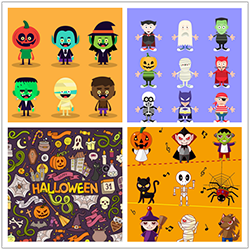 Designs to be sent by email or upload to website, we will recheck with you with a screenshot of order. 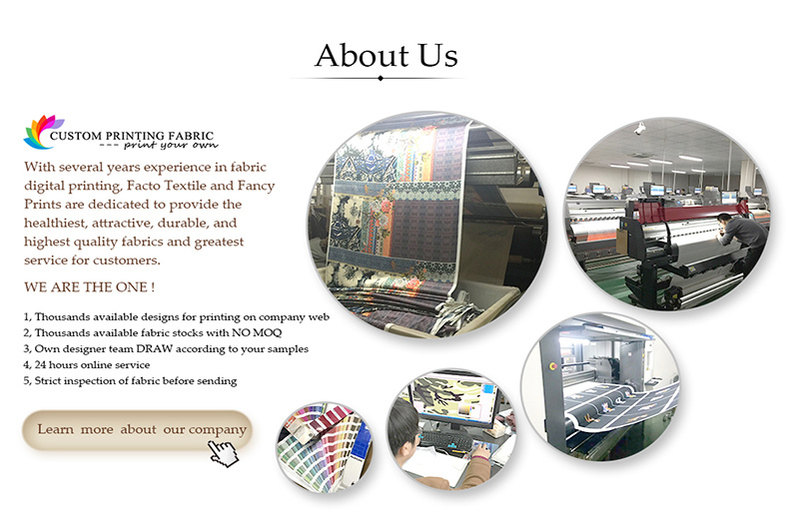 We specilize in digitial printing for 6 years with an excellent reputation. The colors show brightness, rish, without heathering issue. we take the whole responsibility for our duty if flaws happen. 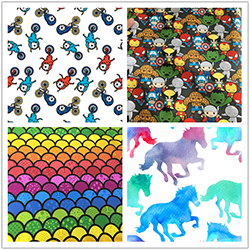 We are working with a lot of clients selling custom printed cotton lycra fabric on facebook and website. We do full inspection before shipment. Your unique own desgisn are most welcome, your designs will be secretly protected. 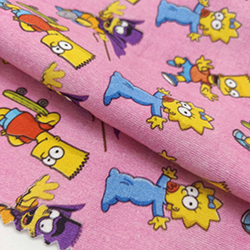 Thousands available designs like famous cartoon for choice, check our Designs Gallery and order fabric directly. Our own professional designs can be us to make designs for you according to your ideas. Your order will be shipped within 1-2 weeks for production upon receipt of payment. Pls make sure the delivery address is correct. If shipping by Express, TELEPHONE NO. is requrested. For China Post, usually it takes 3-5 weeks to reach most overseas countries. Some countries may take about 1 more week. It depends on postage. For FedEx, usually it takes 2-4 days to most countries. The tracking will be offered as soon as the package sent out. If you need something special or in a hurry, please let us know and I would be more than happy to accommodate you! We always value it very low or mark " as sample or gift " to help you avoid tax. However, customers are responsible for any fees, taxes, and duties associated with shipping & purchasing to their respective countries, when it happens. If you would like a printed receipt for your order, please let me know and I would be glad to include one in the shipment of your items. It is our intention to display images and descriptions of designs as richly and accurately as possible, but we recognize that the online buyer is deprived of the tactile experience. If you don't adore your items, please contact me within 3 days of receipt. You will be refunded (minus shipping charges) via PayPal once the items in their original condition have been returned to me. All return shipping costs are the responsibility of the buyer. In the event of any item being faulty, we will either refund or send a replacement. 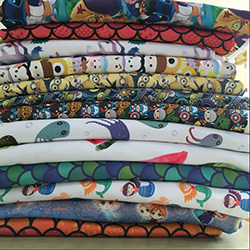 Please note that cut lengths of fabrics and sewing trims cannot be returned or exchanged. Custom and bulk orders are not refundable unless faulty. Feel free to convo us any time with questions, concerns, etc. we hope everyone to be as happy with designs as we ! 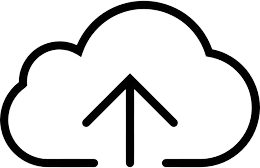 Confidentiality Agreement : Never share or leak customer's designs, fabrics, even any related infos. 300 DPI is needed for best printing effect. Make sure the file seamless and no flaws. Make sure the file size is original and correct for printing. 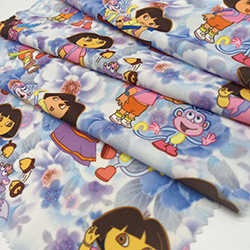 Our fabrics are all available for printing with low MOQ. 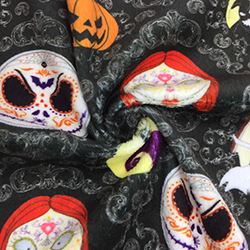 Custom Printed 95/5 Heavy Cotton Lycra Knit F.. 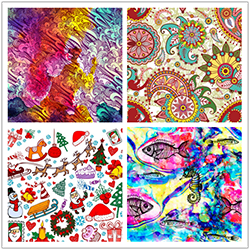 Custom Fabric Printing SPF50+ swim fabric ---.. Sample Pack For Quality Checking.. 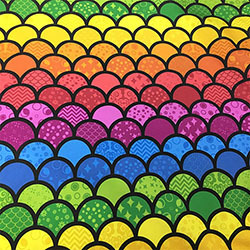 Custom Printed Sport Lycra And Swim Fabric NO.. Custom Printed Cotton Lycra French Terry fabr.. 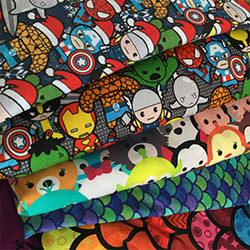 Custom Printed Squish Fabric ( Double Side Mi.. 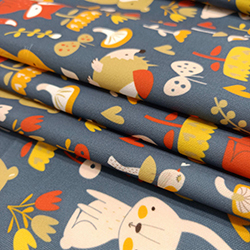 Custom Printed Minky Fabric For Baby Blanket .. 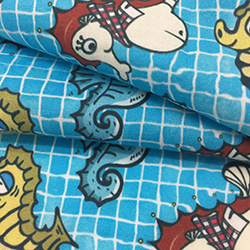 Custom Printed Microfiber Boardshort Fabric .. 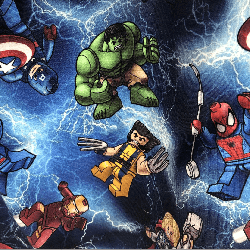 Custom Printed Stretch Boardshort Fabric NO M.. Copyright © 2005-2020 Fancy Ltd. All Rights Reserved.